When I go "home" for the holidays, I head to this quaint little town in Arkansas, where the lake is my backyard, camo is a neutral & dressing up certainly isn't expected. But sometimes I like to bring some special pieces, just to show my old high school pals down at the bar that I've still got it. (yes, everyone shows up at the same bar, it's a bad episode of Cheers). This orange vest number hailed from Le Tote & I almost didn't send it back (which is ok, if you want to keep the pieces, you can - for a flat price). I was this pier's most stylish occupant! Interested in Le Tote? A little birdie told me they are going to be giving away a 1 month subscription here in a few days… better sign up & start picking out the pieces that are going to come visit you soon! LOVE this outfit! so casual but still super chic :) such a fun idea, too bad they don't ship to Canada! Love that sweater with the orange!! gorgeous photos and adore the vest! 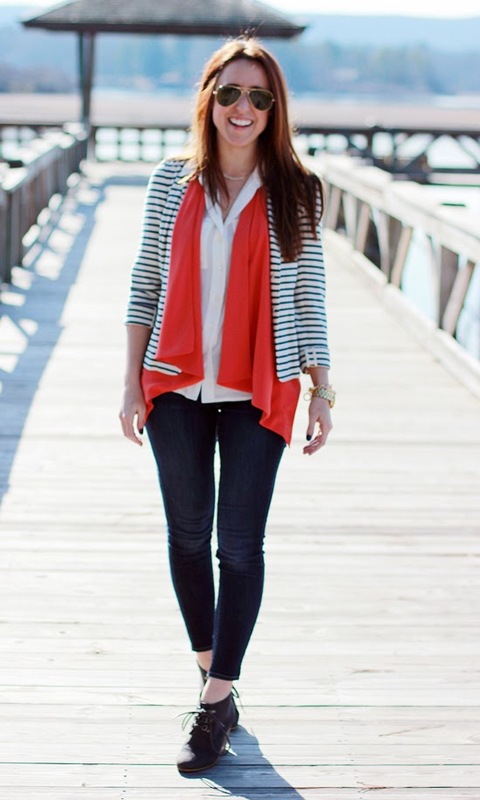 Great vest and love you layered it with a blazer. One of my favorite outfit of yours! 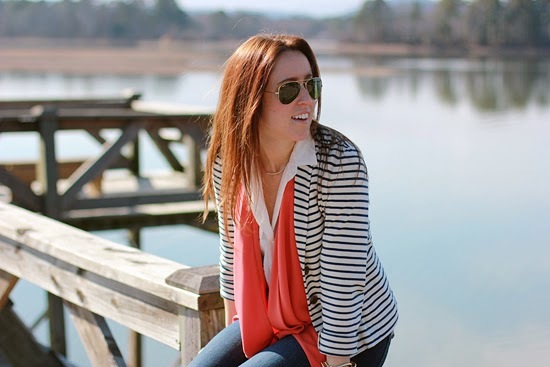 Love the vest layered under the blazer! Looks so good! I have never heard of Le Tote but it sounds awesome! I must go check it out. Love this look!! 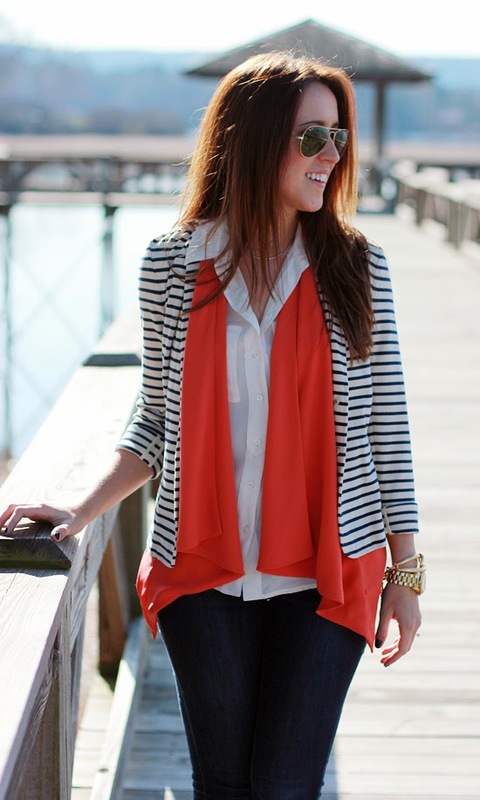 The orange with the navy and white stripes looks fab together. How did I miss the part where you were from Arkansas?? This service sounds really cool. I'll definitely have to check it out! Love how you layered these pieces. That outfit is absolutely adorable! I'm headed to check out that site right now!!! LOVE these shots jess - I should try le tote, i may fall in love with a piece I can't part with though! What lake in AR? 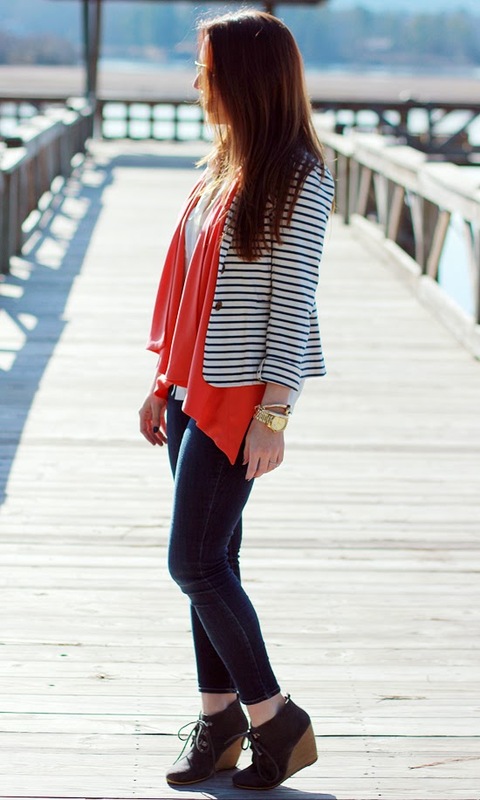 Love the vest with the blazer! Lake Hamilton… you from around these parts? 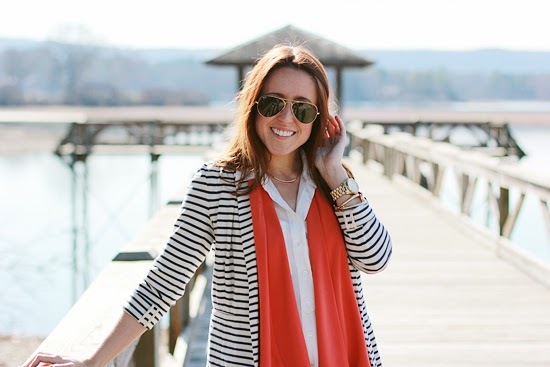 I love the orange under the black and white blazer! Love how simple and cute this is! Love love love those booties! Where are they from?? Thanks! They are a few years old from Charlotte Russe, These are super similar!